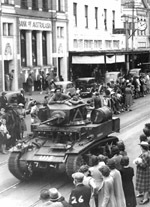 In June 1942 New Zealand received the first shipment of tanks from the U.S.A.. 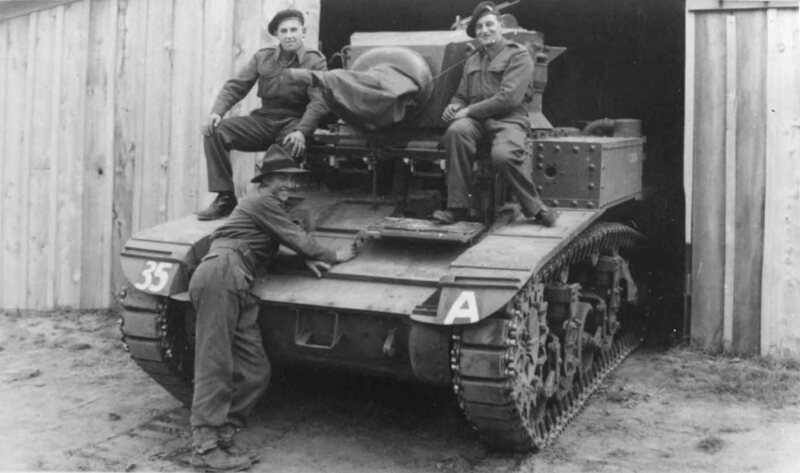 Known as the Stuart Hybrid these were late model M3 Light tanks which had been fitted with the flat-topped turret intended for the M3A1 Light tank but adapted for use on the M3. After an initial training course at the N.Z.A.F.V. School one was issued to each of the nine Mounted Rifle Regiments and the rest retained at Waiouru. More were received in September and were initially used to replace the Beaverette scout cars in the Mounted Rifle Regiments. Later on in the year these were reorganised and some were converted into armoured regiments with two squadrons of Stuarts and one of Valentines, or recce regiments with one squadron of Stuarts, one of Beaverettes and a motorised infantry company. 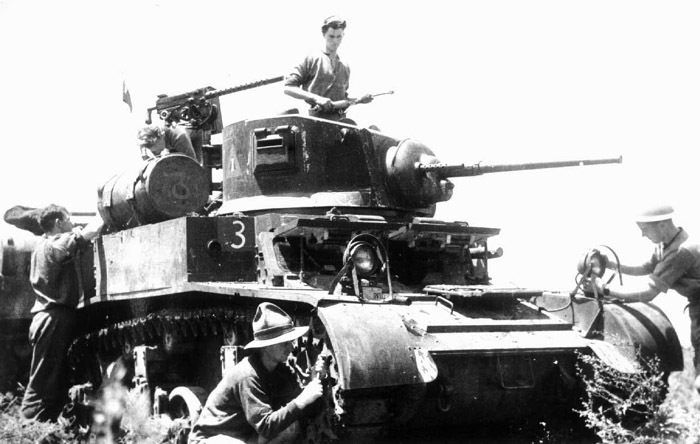 A modified Stuart Hybrid of 9 Troop, B Squadron, 2 Tanks Battalion Group early in 1943 when the unit was based at Waiouru. The tanks were finished in a two-tone scheme of a dark green base, overpainted with broad stripes of dark earth. 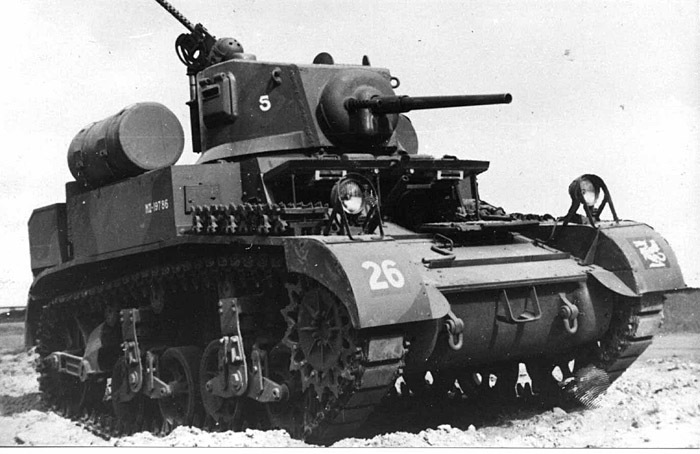 This particular tank was commanded by Lieutenant Tom Evans. A Stuart Hybrid of the New Zealand Armoured Fighting Vehicles School at Waiouru. The ‘A’ insignia was carried by all vehicles of Army HQ, Army Schools, Army Base Establishment and units in Army HQ Reserve. Both the background to this insignia and the 35 of the NZAFV School were black. A Stuart Hybrid of A Squadron, 2nd Queen Alexandra’s Mounted Rifles when the unit was based in Levin in 1943. The divisional insignia of a charging bull was in a red square while the unit serial 7 was in a green square. 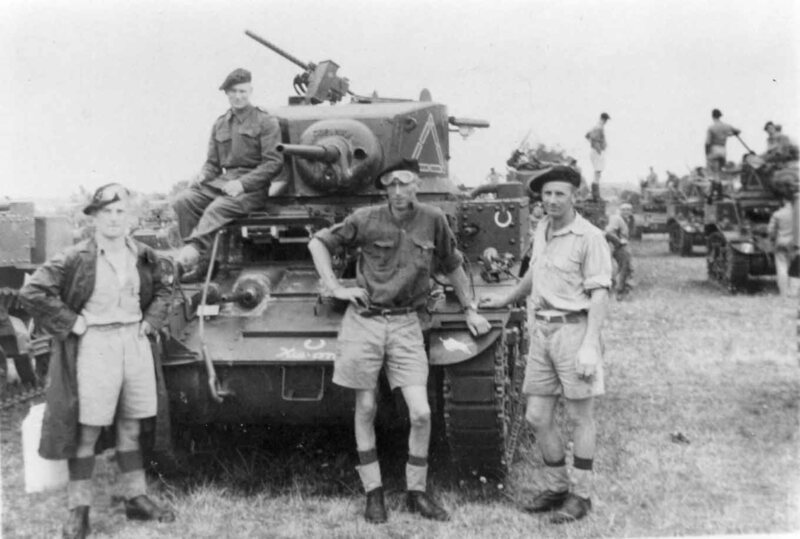 A Stuart Hybrid of 3rd Auckland East Coast Mounted Rifles (Armoured) in 1943. The unit serial is in a green patch while the 1st Division insigna of a battle-axe is in a red patch. Squadron insignia were usually the same colour as the unit serial patch. 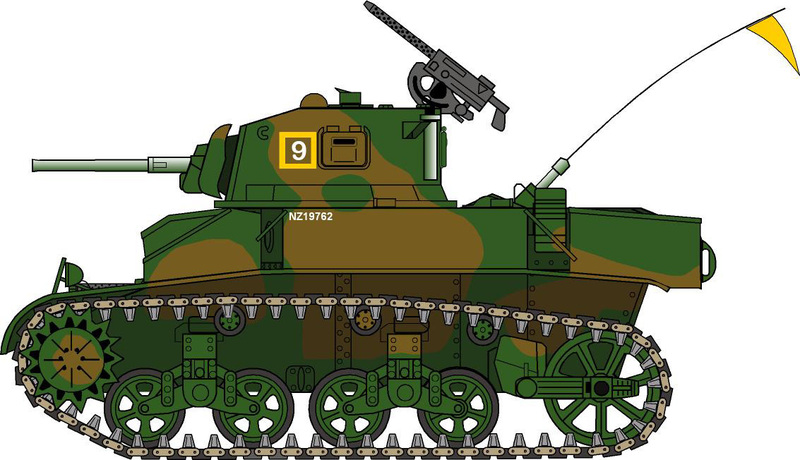 2 Tanks Battalion Group at Waiouru were also reorganised as an armoured regiment for eventual deployment in the Pacific and thus received Stuart Hybrids This one from RHQ Troop is completed in a two-tone scheme of dark earth over dark green. The unit serial is in a yellow patch while the Rampant Dragon insignia of former 1st NZ Army Tank Brigade is in a black patch. The RHQ Diamond is also yellow and the number inside white. 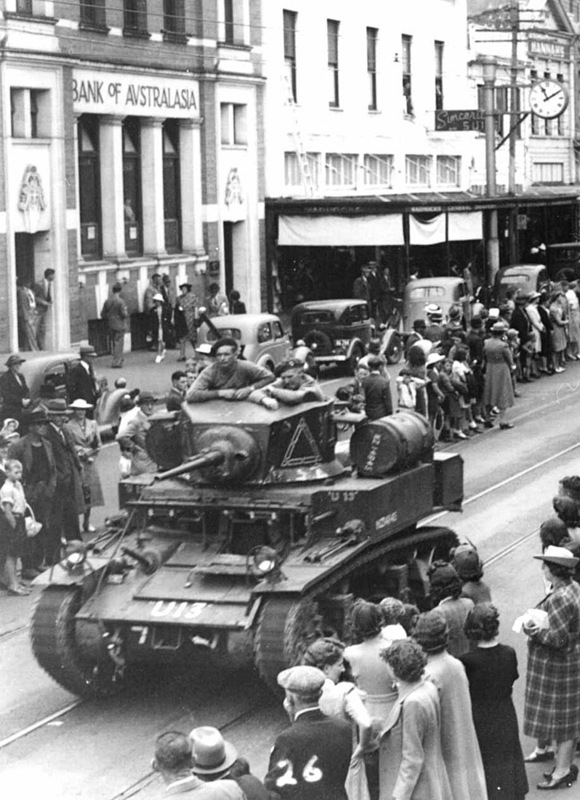 Before their departure from Wanganui in January 1943 Queen Alexandra's Mounted Rifles (Armoured) took part in a parade down the main street where they were photographed by the enthusiastic owner of Tesla Studios. Here "U13" from A Squadron passes the camera. The unit serial is on a green patch and the 4th Divisional Insignia, a charging water buffalo, on a red patch. Tank is carrying its New Zealand registration number on the drop tank as well as the hull sides. 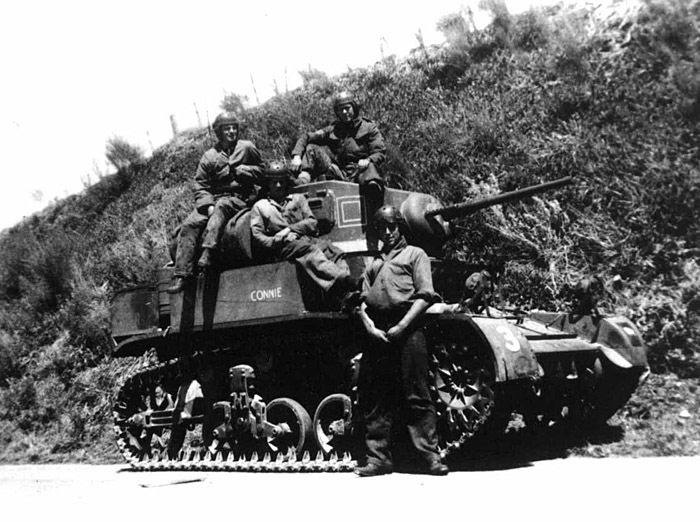 In 1943 the 9th Wellington East Coast Mounted Rifles (Armoured) took part in some extensive manoeuvres in the Manawatu with the armoured brigade of 4th Division. This Stuart Hybrid "Connie" is from B Squadron. The unit serial is in a green patch and the 4th Division Insignia on a red patch. It is unclear whether the squadron insignia was coloured inside the white outline but if it was it would most likely be the same as the unit serial patch.